Use the criteria RADAR to evaluate sources. Ask yourself the questions associated with each area of Relevance, Authority, Date, Appearance and Reason. Using the criteria will help you determine if the source you have found is suitable for your research needs. Jane Mandalios (2013). 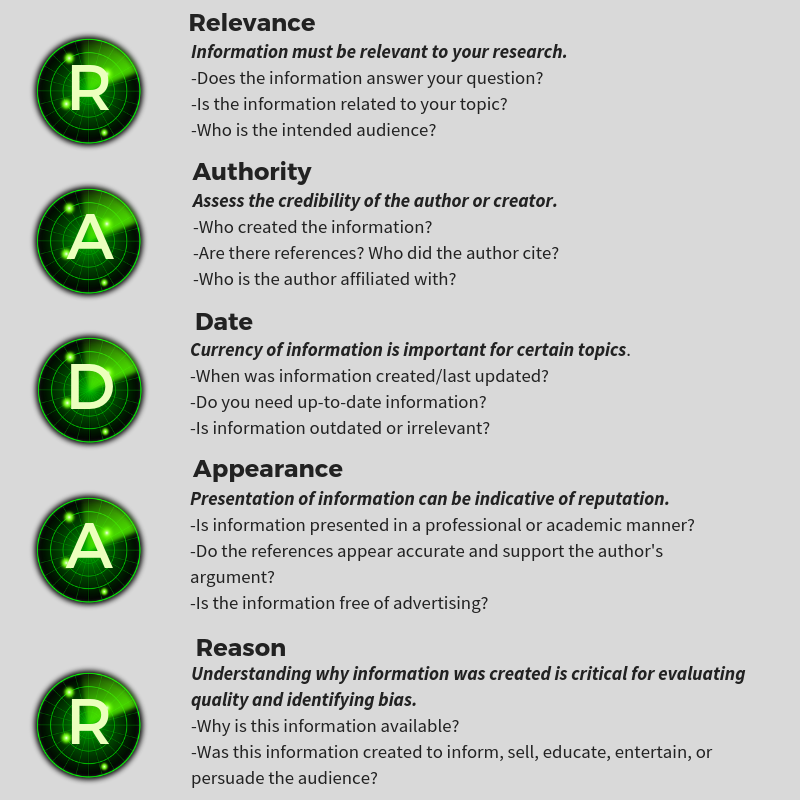 RADAR: An approach for helping students evaluate Internet sources. And from Western Libraries of Western University. View this tutorial to learn about how to locate Tests and Measurements using the WilmU Library databases.